It’s a sad reality that the rate of crimes is increasing in many of our regional centres and cities. This leads both homeowners and business owners to be fearful. Fortunately, the technology behind surveillance and security systems has improved dramatically in recent years. This has also led to many affordable systems from different manufacturers. Why Have a Security System Installed? If you really want to improve the security of your home or business, a modern security system offers many advanced features. In fact, one of the biggest revolutions in security technology has been the development and improvement of digital imaging technology. This has produced affordable digital imaging sensors that produce much more clarity in the image. Audible Alarms: The audible alarm system remains the foundation of any hardened security setup. The benefit of the audible alarm is that functions as both a deterrent and a method of signalling to others that there’s a problem. The sound of the alarm will interrupt any criminal behaviour and let others know that there may be a break-in happening. Another option is that many of these modern audible alarms can also be hooked up to the authorities and can automatically send a signal to them that something is amiss. Digital CCTV: As mentioned earlier, the digital imaging technology behind modern CCTV systems means that the video quality is much clearer. This may lead to a greater rate of convictions as faces are more easily recognised. Digital Storage: As with digital imaging technology, the advent of affordable digital storage systems has also made a huge impact in this area. The fact that one can add large-capacity hard drives, USB storage, and SD cards to any modular electronic security system means that thousands of hours of video and audio footage can be recorded. The days of having to replace video tapes every day is well and truly over and these storage systems offer huge benefits. 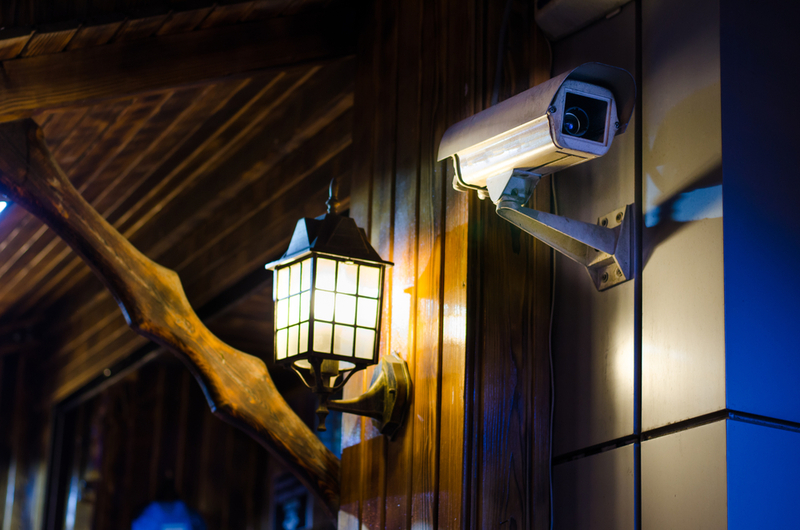 Networked Security: Digital CCTV systems that connect to a home network are now available at very affordable prices. Apart from the associated storage capacity of these systems, the other benefit is that they can transmit video and audio data over the web to a secure site that can be accessed. Imagine being able to check up on your home or business at any time, in real time, and see exactly what the CCTV cameras are seeing on your tablet or smartphone? One of the biggest benefits of modern security systems is that they are often modular in nature. This means that you can buy different components at different times and add them together according to a budget. For both home and business owners, the features and benefits of modern electronic security can result in peace of mind.